Gordon Ramsay, recognised as one of the world’s leading celebrity chefs, joined the ever-growing list of British celebrities to select Delta Force Paintball to host their special paintball event. 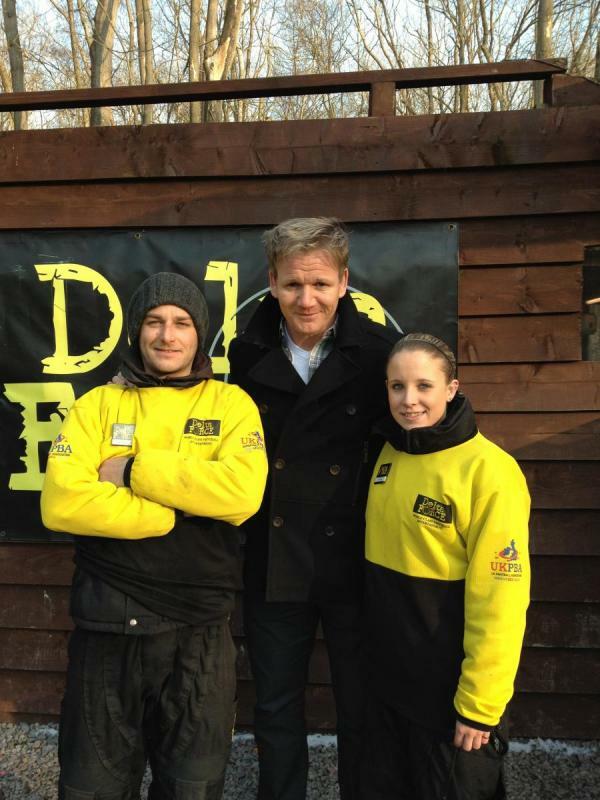 The Hell’s Kitchen star booked the paintball outing at Delta Force Paintball South West London for his son’s 13th birthday and enjoyed a full day of outdoor adventure with his team. At Delta Force we know that our customers always have an option when selecting where they want to play paintball, and it’s an absolute honour that the Effingham Paintball Centre was chosen for such a special paintball event. In Gordon’s case he attributed our superior standard of paintball equipment, facilities and service as to why he trusted Delta Force Paintball to host his son’s birthday. Gordon was a brilliant guest, happily signing autographs for star-struck fans between games and even posing for a photo with our Centre Manager Russell and Assistant Manager Laura. Thanks for a great day Gordon, we look forward to seeing you again at Delta Force soon. If you’d like the opportunity to play alongside Gordon Ramsay, Wayne Rooney, Lewis Hamilton and the ever-expanding list of Delta Force Paintball celebrity customers then call our booking office on 0203 869 9301or click here.